The iPhone 6s now comes in just two storage configurations, 32 and 128 gigabytes, priced at $549 and $649, respectively. Previously 128 gigabytes cost $200 more, and there was no 32-gigabyte option —an equivalent 16-gigabyte model was $649. The situation is similar with the 6s Plus, which is $649 for a 32-gigabyte model and $749 for 128 gigabytes. Until this week, a 128-gigabyte model cost nearly $1,000. 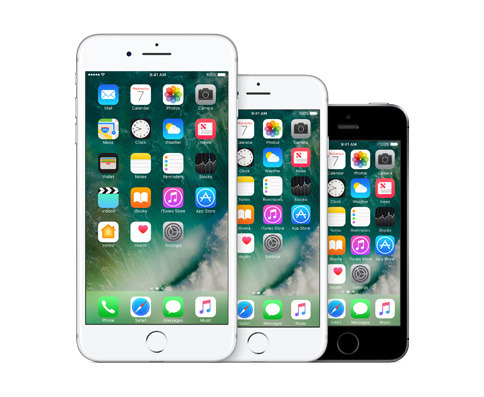 In both cases, the changes mirror the doubling of storage on the iPhone 7 line, which has 32, 128, and 256-gigabyte tiers. Preorders start on Friday, and the first deliveries should arrive Sept. 16. Apple has meanwhile discounted the price of a 64-gigabyte iPhone SE by $50, putting it at $449. A 16-gigabyte model still exists at its original $399 pricetag.